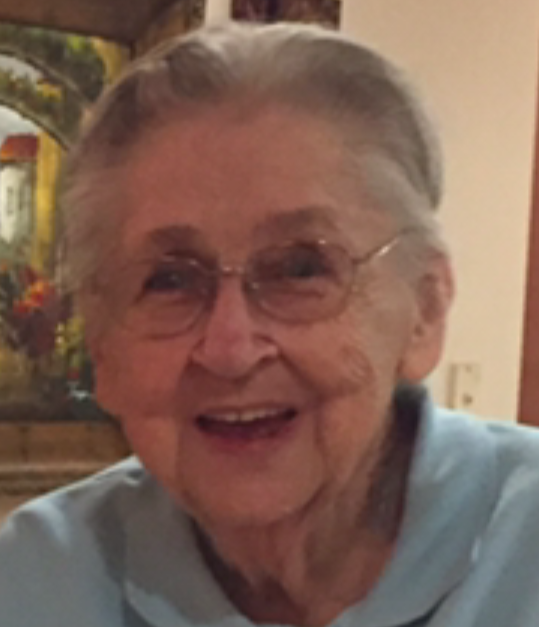 Ostrich, Joanne R., 88, Johnstown, formerly of the 8th Ward, passed away June 24, 2018 at The Villa. Born December 27, 1929 in Johnstown, daughter of the late Carl and Mary (Minahan) Sigg. Preceded in death by husband, Robert Ostrich; and brother, John Sigg. Survived by loving children, Robert Ostrich married to Teresa, Jacksonville, FL; Mary Kay married to Ray Litzinger, Latrobe; Barb Struba, Abingdon, MD; Thomas Ostrich married to Mary; Rosemary married to Len Kubinsky, all of Johnstown; and Peg married to Rocco Reynolds, Pittsburgh; grandchildren, Justin Ostrich (Julie); Megan Regan (Tim); Amanda Powell (Bryan); Joe Litzinger (Courtney); Mark Litzinger (Christine); Eric Struba (Shane); Angela Bellack (Kevin); Amanda Whitfield (John); Stephanie Litavish (Frank); Katie Walkowsky (Jason); Josh Kubinsky (Sami); Jared Kubinsky (Lisa); Jason Reynolds; Ali Reynolds (Sylvanus); and 16 great grandchildren. Joanne was a member of Visitation B.V.M. Catholic Church. Family will receive friends from 4 to 8 p.m. Thursday, June 28, at MOSKAL & KENNEDY COLONIAL FUNERAL HOME, 219 Ohio St. Johnstown, where vigil service will be held. Funeral mass will be celebrated 10:00 a.m. Friday, June 29, at Visitation B.V.M. Church, Fr. William Rosenbaum. Committal Grandview Cemetery. Memorial contributions may be directed to The Autism Society of Pittsburgh or Children’s Hospital of Pittsburgh in her memory.